Nepal is a country where religion plays a major role in the lives of its citizens.Many begin the day with a puja. Even before the sun rises many will have already made a trip to the nearby temple. 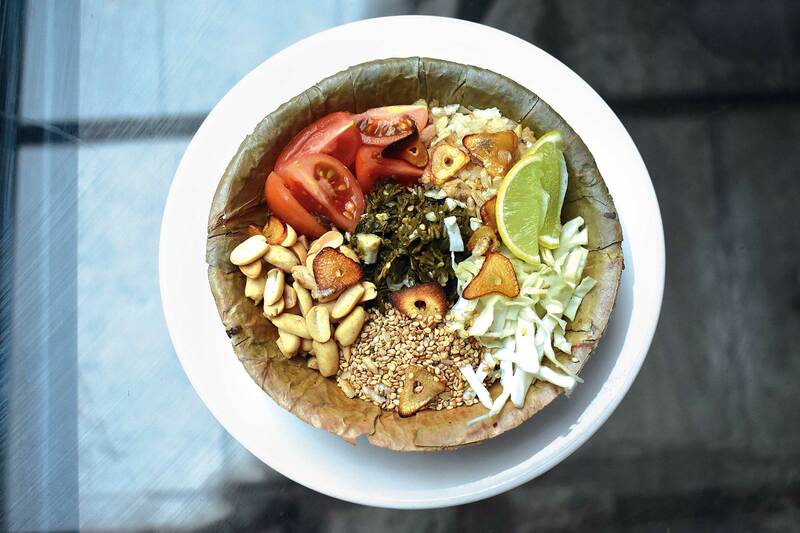 The Nepali calendar is clogged with festivals of every kind and the Newari community enjoys even more. The Hindu pantheon speaks of thousands of Gods and Goddesses. Among them, some are grouped together to form powerful forces. There is the ‘Nava Durga’ and then there is also the ‘Astamatrika’. The eight Mother Goddesses known as ‘Astamatrika’ (asta = eight, matrika refers to Mother) are protective deities found in all three cities; Kathmandu, Patan and Bhaktapur. However, Bhaktapur more than the others, retains much of its old norms, systems and rituals until today and ancient shrines here remain well preserved. Moreover, age-old rituals like tantric practices are very much in evidence while the religious fervor of the citizens justifies the name Bhaktapur which means “City of Devotees”. 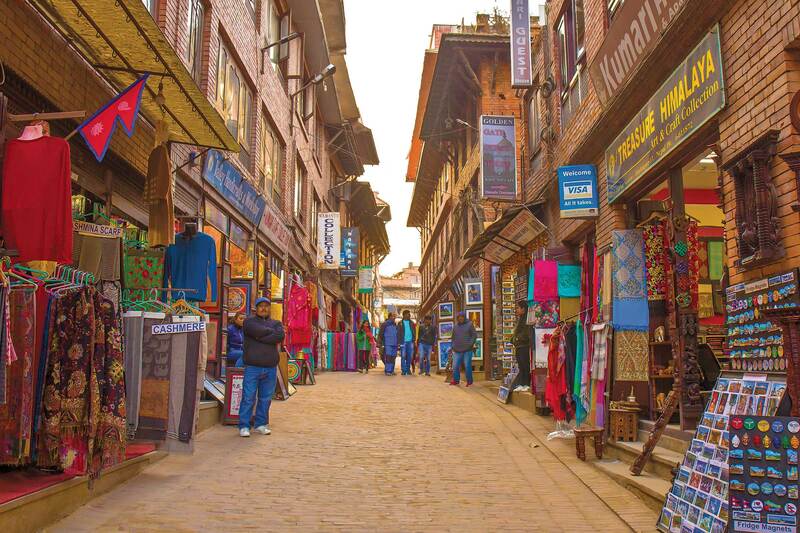 The city of Bhaktapur as a whole is protected by the eight Mother Goddesses. The location of the open shrines(Pithe in Nepali) of these Goddesses suggest a mandala with the pithes in the four cardinal points and four intermediate points. The eight mother Goddesses are Brahmayani (Brahmani) towards the east; Maheshwari towards the south-east; Kaumari towards the south; Bhadrakali (Bhadrakali has replaced Vaishnavi) towards the south-west; Varahi towards the west; Indrayani (Indrani) towards the north-east; Mahakali towards the north and Mahalakshmi towards the north-east. The Goddess “Kaumari” should not be confused with Goddess Kumari, who represents the Goddess Taleju Bhawani. Most of the pithes lie on the outskirts of the city. It is interesting to note that these open shrines have no idols. Instead, the Goddess is represented by a rather plain looking stone while the real idol is kept in the God-house, which is usually not far from its corresponding pithe. God-houses have been built for each pithe and the portable image is kept there. It is this image that is brought out on a procession, and placed in the pithe or near it during festivals like Bisket (Biska) and Mohani (Dashain). These Goddesses are known as the dangerous Goddesses and possess immense power. They are appeased with blood sacrifice and certain tantric rituals. Such practices are more in evidence in the archaic city of Bhaktapur, which has seen little change over the centuries in comparison to Kathmandu and Patan. In Bhaktapur, tantric rituals are conducted only by special priests who are usually Rajopadhyas and Karmacharis. Each of these Goddesses is said to protect a certain sector of the city and the citizens who reside within that area. These citizens are divided accordingly, each family belonging to a certain sector. They worship their own particular Goddess every day though they may also visit the other Goddesses’ shrines. As in many cases in the practice of Hinduism, there is a slight complication here, which can be quite confusing. 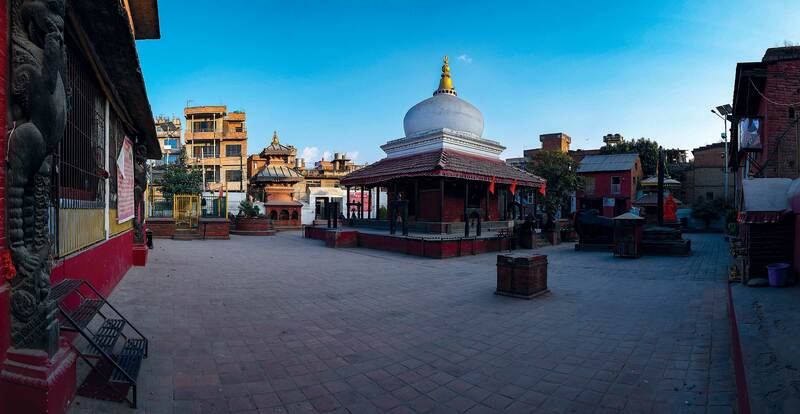 The open shrine of a ninth Goddess who some say technically does not belong to the Astamatrika is located near the Durbar Square, which is in the center of the city. Yet others believe that this Goddess is in fact, the most powerful among them, enjoying complete powers as a Goddess and that being at the center, power is concentrated here and emanates to the other eight mandalic points. This Goddess is said to protect that area defined by a circle and her God house is only meters away. The Goddess is known as Tripurasundari and some are of the opinion that the name suggests Royal patronage. 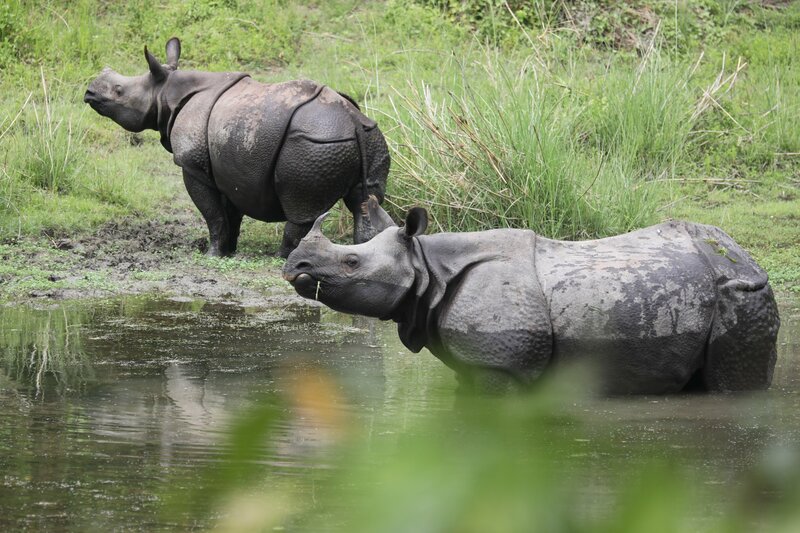 (It is known for a fact that there was a palace named Tripura in the 12th century). It is suggested that perhaps this Goddess was meant to protect the inhabitants of the palace, which lies near by. However, Levy in “Mesocosm” is of the opinion that Tripurasundari is the proper kind of dangerous goddess to be at the center of the mandala’s power. As mentioned earlier, the location of the shrines of the Goddesses suggest a mandala because the city of Bhaktapur was conceived as a yantra placed within a bounding mandala. Levy suggests that the Goddesses protect not only the external boundaries (as their locations suggest) but also the particular octant of the city in the vicinity of their shrines. As the Goddess Tripurasundari is said to protect the central area of the city, we are talking about nine Goddesses and not just eight. Hence the city is divided into nine segments with one protecting the centre and the other eight protecting eight outer segments. However, it seems that once Goddess Taleju became the all important deity for the kings and took precedence over Tripurasundari, the latter lost her central political importance. Today, Tripurasundari is only one of the goddesses and enjoys no special place as a powerful Goddess. On the other hand, Taleju Bhawani has become so important, that the inner shrine of the Taleju temple that lies within the palace, is out of bounds for all but the officiating priests. It also plays a central role in many of the festivals like Biska and Mohani, as well as rites of passage ceremonies. The God houses are attended to by tantric priests known as Achajus. From time to time, especially during festivals, tantric worship is carried out with secret ceremonies within the God house. Lay men know very little about these tantric practices as the images of dangerous Goddesses are kept secret and only initiates may lay eyes on them. What goes on within the temple walls is not known to outsiders. While people of each sector bear responsibility of looking after and decorating their respective pithes, they also visit and worship at other shrines on rites of passage ceremonies and special festivals. 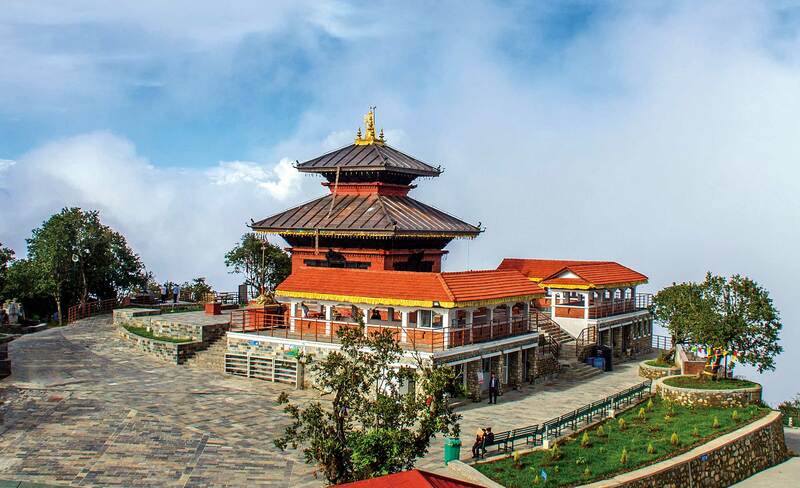 Devotees are seen visiting the various pithes and God houses during the very popular Bisket (Biska) festival in April and during the Mohani (Dashain) festival in October. During the Bisket festival, the idols from the God houses are brought to the corresponding pithe hence the two idols of each Goddess are together for the duration of the festival. Each day people visit a different shrine, paying homage and seeking protection. 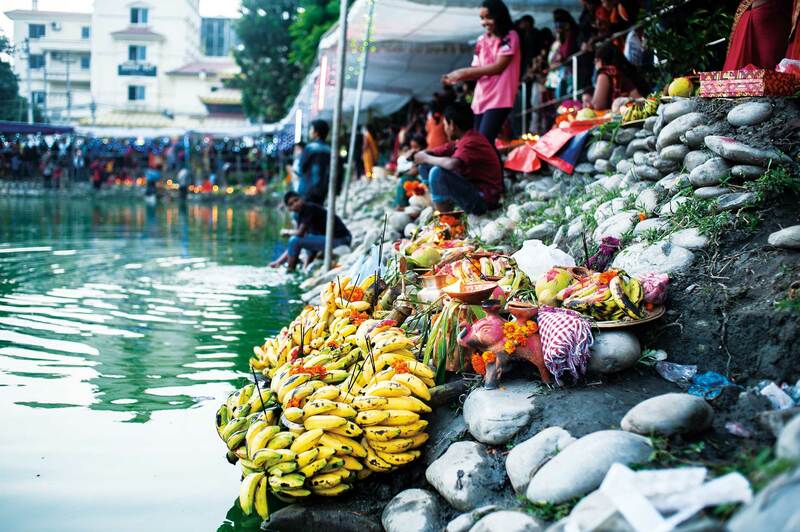 Offerings are made and tika applied on their foreheads. Animals are sacrificed as these Goddesses must be appeased with blood sacrifice. The devotees also visit the god houses which they are allowed to enter. There are however, God houses which are closed to the public. The Astamatrikas play a very important part in the lives of Bhaktapureans. Since each Goddess protects a certain section of the city, the citizens are also divided accordingly and are said to follow the father’s lineage to determine where they belong. This would mean that even if a family decided to move to another part of the city, they would still be protected by the Goddess who protects the area where they previously lived (their ancestral home). Once married a woman belongs to the section that her husband belongs to and thus protected by that Goddess. However, when it comes to rituals related to her natal family she is required to visit her natal Goddess. esses’ shrines including that of Tripurasundari in turn. Each day, a different pithe is visited, and it is the responsibility of the people of the respective sector to decorate the pithe as well as the God house. Visiting all the pithes on foot is quite a task. First, one has to find their location, which can be challenging. Most lie on the outskirts of the city, but some lie inside and are surrounded by houses which were probably built much later than the shrines. To see all the pithes, you will be trekking right round the city. The easier option is to drive to most of them or at least close to where they are located. One could start from the Arniko Highway, which is the old trolley bus route that goes on to Tibet. One stop before the Trolley bus stand (about 150 m from the stand), a brick road goes left towards the city. If you follow this road for about 50m, you will find the Varahi pithe on the right hand side. This Goddess has the face of a boar and this shrine is one of the few that lie on road level. On the two sides are rest houses. The next pithe to visit is the Bhadrakali which lies on the bank of the Hanumante River. Follow the Arniko highway going past the Trolley bus station and turn left at the first brick road going north towards the city. Turn left again and cross the bridge. The pithe lies close to the bridge and this is where the 70ft pole is erected during the popular Bisket festival. The Bhadrakali has an important part to play during this festival. In fact, out of the two players, Bhadrakali is one while the other is the Bhairav. Directly in front of the pithe is a rest house generally known as pati. Your next stop is the Kaumari pithe, which is only a few minutes walk away towards the north from here. The path goes through a crowded area and it is best to ask the locals for directions. The Kaumari shrine is the simplest and really out in the open. It is situated on an elevated ground rising above the houses which lie on the edge of the city. For the next pithe, trace your steps backward and go east. Then follow the pitched road that leads to Kamal Binayak. On this road you will come across two tiny bridges and between the bridges, a dirt road turns left. Follow this road and you will arrive at the Maheswari pithe, (next to a large tree) which also lies on the bank of Hanumante. Four more to go. Retrace your steps and head up north along the Kamal Binayak road. A wide partially pitched road goes right (east) towards Nala. Follow this road until you come across yet another bridge on the Hanumante. Immediately after the bridge lies the Brahmanyani pithe, next to another large tree. The location of this pithe is beautiful and there is a gate leading in. On this slightly elevated spot you often encounter farmers at work. The next pithe lies toward the northern outskirts of the city. Go past Kamal Binayak and turn left along the pitched road. This road goes straight towards the Mahalaxmi pithe if the right turn is avoided. The last 50 metres is along a brick road and the shrine looks like any other two-tiered pagoda style temple except that the idol is a plain stone. Next, walk back and follow the pitched road that turns north and starts descending while at the same time turns west. Beside this steep descent on the right is a hillock on top of which, sits the Mahakali pithe. This is the largest of the shrines. A gate sits at the bottom by the pitched road. Steps lead up to the shrine, with small concrete structures near by, which are used by the priests. There are many idols here. The pitched road carries on to the Tourist bus park. A wide brick road from here leads south towards the city center and along this road is the Indrayani pithe, which is easily identified by the massive tree over the shrine. Near by is a sunken water spout. This is the eighth Mother Goddess. Visiting all these shrines on foot will mean spending a good part of the day while half a day should suffice for a drive around.